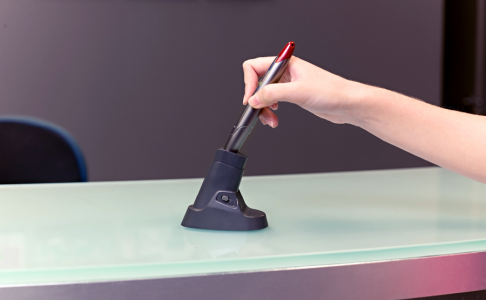 Digital pen system now loaded with more advanced features. Automation, Excellent software reliability, more control, pharmacy compliant transmission and software integration. 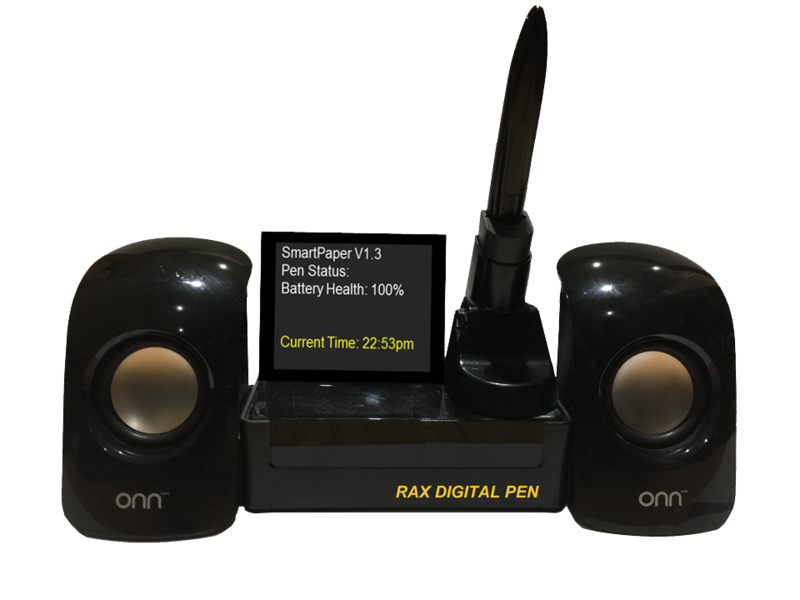 Our new Rax Digital Pen solution allows you to transform any handwritten material into a digital format – instantly. Everything you write is captured in real time and is stored electronically. Doctors and nurses can write prescriptions, send orders and fill forms on the move without the need to send them later. Once the healthcare professional has docked the pen, all information is transmitted and stored instantly. Orders are automatically printed and easily retrievable with our cloud based web portal. Using your existing pdf forms and a laser compatible printer, you can easily convert them to a digital format using our smart printer software. Your printed forms are activated automatically and ready for use. Access and view your orders online using your computer browser, mobile or tablet devices. Our smart dashboard gives you a detailed information of your orders, Digital Pen battery status, monitor pen activity, reprint order, order statistics and much more. With our all-in-one docking station, you will have less clutter at the nursing station, faster troubleshooting with minimal nurse intervention, advanced system monitoring, first digital pen system that comes with on-screen and voice notification for system or software monitoring. Our mini-lcd screen provides user a step-by-step on-screen status when sending and printing orders to the pharmacy. Print incoming order in seconds via secured cloud print service. Order printout resolution is 99% better than the traditional fax transmission. Our technical team are always on standby to answer and troubleshoot any problems remotely or on-site. You can contact us by telephone or email and will respond to your call in a timely manner.